Three serious, 90-point wines for serious wine drinkers. At a restaurant, I noted this white Rioja was available by the glass as a selection to pair with a light fish entrée. Unfamiliar with this rioja, I asked the sommelier about it. She beamed at my mention of the wine with this dish, explaining that it was amongst her favorite pairings. It had evidently taken a long time to find the perfect wine and they had considered a sherry before deciding on this white Rioja. A deep yellow color with a hint of sunset in the glass, this wine has sweet fruit, lemongrass and honey on the nose. On the palate, I swore it was part sauternes- it has vanilla, orange citrus, and herbs forward, with elements of tobacco, dried apples, cranberries, and clay. A lengthy finish from this luscious white, I promised myself to find a few bottles of this to try at home with my cooking. A true find, and rare in NYC wine stores. Approx 40/bottle. Learn more about winemaker Lopez de Herediaere. 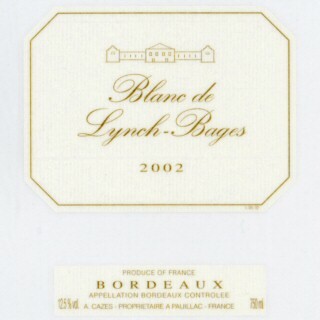 Lynch- Bages is a classic premiere cru chateau. The white is a recent addition to the chateau’s offerings, only begun in 1990 and immediately acclaimed for top quality. A blend of three grapes- sauvignon blanc, muscadelle, and semillion, Blanc de Lynch Bages is a classic, delicate Bordeaux wine that is renowned for complexity, aromatic subtlety, and elegance. 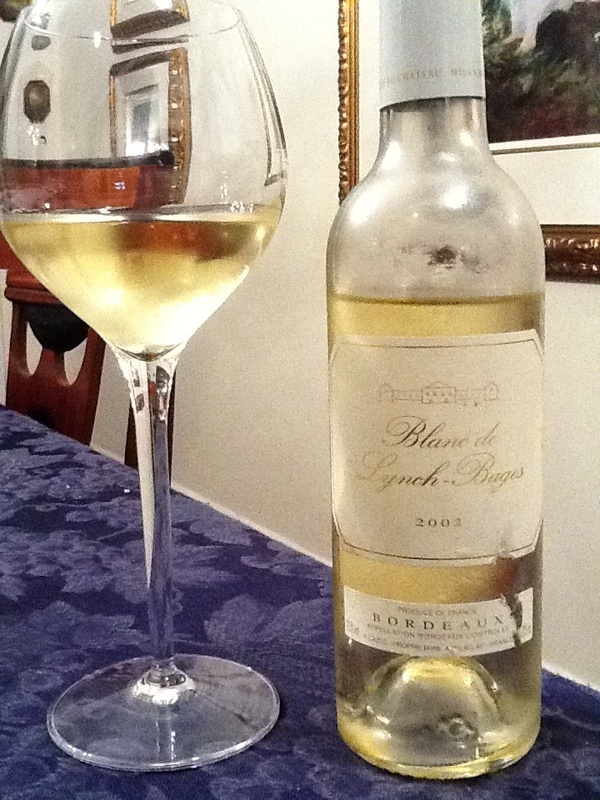 A pale yellow color, this ten-year old white has a faint nose with pear, apple, and tangy citrus. The fruit has dissipated in the age, and in the mouth it is light, tart and acidic in a delightful fashion, with notes of vanilla and a hint of gravel. This specific vintage, having lost much of the forward fruit due to age, is not a drink to enjoy by itself. Instead,it is a perfect match and complement for turkey, fish, chicken or lighter cheeses. When paired with a good protein or sauce, it enlightens the dish, and livens the palate: quite simply, this is a stunning wine to pair. $20/half bottle from a pricey midtown liquor store, full bottles are in the $40/range and can be found from the 2006 and later vintages. Learn more about Chateau Lynch-Bages. 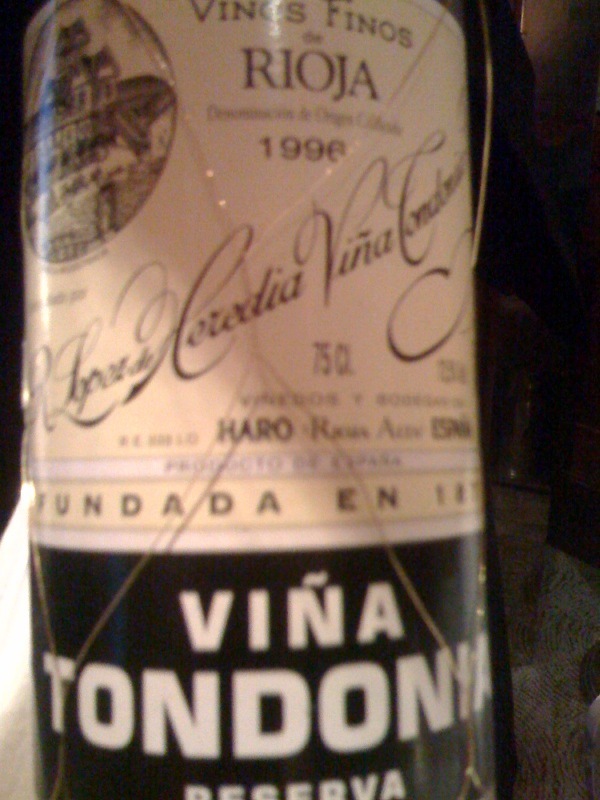 I have been fortunate to taste this wine (vintages 1986, 1996, 2000) a few times. Deep purple in color, and the nose is black fruit with menthol, tar, and asphalt. The mouthfeel is amazing, silky and dark: black currants and blackberries with cut flowers and herbs. The top of the palate features the dark flesh of the black fruit with earth, loam, and asphalt again. With a huge finish that reminds me of road tar in a pleasant way, this is a wine that screams decadence in every sip and pairs well with game, red meats, distinct cheeses or similarly heavy dishes. Known for an amazing terroir with a highly regulated climate, the chateau will only uses grapes from 20 year old vines in Cos D’Estournel. 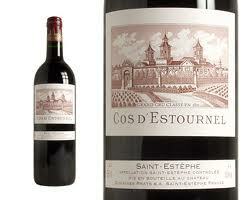 Like many classic French wines, they can be difficult to source due to their level of pedigree. Available sometimes for $20-25/glass (my best luck here was at Morrel Wine Bar in Rockefeller Plaza in NYC), online from $80+/bottle, and in many high end wine stores over $100/bottle. The good news is that there are many good years of this wine- so look for this wine when a good price comes around, and enjoy with friends. Not to be opened if under ten years old, but a wine to be enjoyed and cherished. 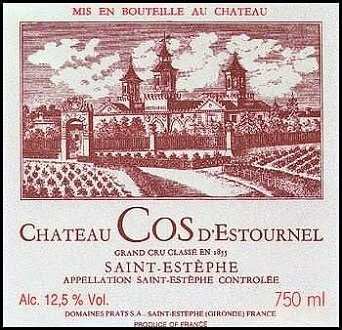 Learn more about Chateau Cos D’Estournel. ← A Spicy, Budget Bordeaux!